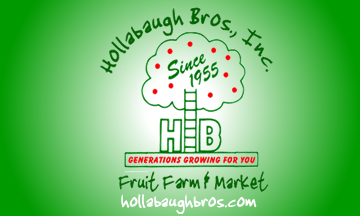 Hollabaugh Bros. Honeycrisp Applesauce is amazing! Choose from Sugar & Spice, No sugar added, Cranberry Flavored or Apricot Flavored! Try them all - you won't be disappointed! If you want to mix and match flavors just specify which flavors you want in the comments section during checkout! Our homestyle, free-stone canned peaches are about as close as you can get to eating one of our delicious peaches, fresh-picked off the tree! You'll never find something similar in the grocery store! Nothing is better than a cup of hot mulled cider on a cold fall or winter day! Our cider mix has 24 individual teabags. Use them one at a time, or brew a whole pot for the family to share. It's a wonderful treat!